A European Medicines Agency advisory panel has recommended a conditional approval for Zynteglo, bluebird bio’s lead gene therapy for thalassemia, a rare blood disorder. The Committee for Medicinal Products for Human Use (CHMP) confirmed on Friday that it had issued a positive opinion for the therapy – previously known as LentiGlobin – as a treatment for patients aged 12 years and older with transfusion-dependent beta-thalassemia (TDT) who do not have a specific β0/β0 genotype. The announcement came after a couple of medical charities jumped the gun and prematurely issued notices of the panel’s endorsement last week, hailing it as a major advance for patients with TDT who typically need frequent blood transfusions to manage the disease. The positive opinion for Zynteglo (autologous CD34+ cells encoding βA-T87Q-globin gene) puts bluebird bio on course for its first gene therapy approval in the coming weeks and could give thalassaemia patients a new one-shot treatment option that tackles the underlying genetic cause of the disease. A recent analysis by Clarivate suggested the gene therapy was one of the top launches to watch this year, with sales predicted to reach $1.12 billion by 2023 assuming it also gets approved in sickle cell disease. Zynteglo hasn’t been filed for approval yet in the US, but is tipped for a verdict from the FDA in 2021. TDT is a severe genetic disease characterised by reduced or absent haemoglobin levels that results in ineffective red blood cell production and severe anaemia. Supportive care consists of a lifelong regimen of chronic blood transfusions to improve survival and suppress symptoms of the disease – but those transfusions can also lead to complications including iron overload that has to be managed with iron chelation therapy. 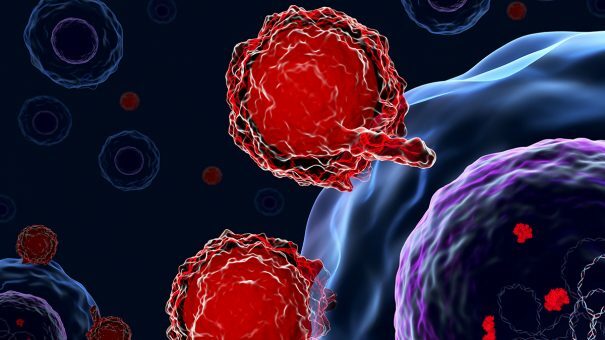 A cure can be attempted using allogeneic hematopoietic stem cell transplantation (HSCT), but this carries significant risks including treatment-related mortality, graft failure, graft versus host disease (GvHD) and opportunistic infections. Zynteglo is approved for patients with no matching donor for a stem cell transplant. Zynteglo was reviewed under the EMA’s PRIority MEdicines (PRIME) scheme for promising new medicines and went from filing to positive opinion in just 150 days, which the CHMP says is the shortest timeframe for any advanced therapy medicinal product (ATMP) to date. Data published last year from two pivotal trials – Northstar and HGB-205 – showed that 12 out of 13 non-β0/β0 patients had become independent of regular transfusions, with a median time since the last transfusion of 27 months, with a range of between 11 months and 42 months. “The goal of treatment with Zynteglo is to enable patients with transfusion-dependent β-thalassemia to produce haemoglobin at sufficient levels to allow lifelong independence from blood transfusions,” said David Davidson, bluebird bio’s chief medical officer. Bluebird Bio has been ramping up its operations in anticipation of an approval, and has a commercial-scale manufacturing contract with contract manufacturer Novasep that will help it supply the EU market, along with agreements with clinics that will deliver the therapy. It is also setting up its own manufacturing facility in the US that is expected to come on-line around the time that the gene therapy is approved by the FDA. Mindful of the ongoing controversy over pricing of new medicines, the biotech has also been talking about a new payment model that might include an upfront fee and payment on instalment that are contingent on the therapy still working as expected. The maximum price of the therapy would be $2.1 million, according to the proposals.